(Starting 4/19) Bergdorf Goodman has Beauty Event coming soon. Saving up to $550 with $2000 purchase. Shipping is free. Please stay in turned for further update. Bergdorf Goodman is offering Up to 60% Off + Extra 30% Off Designer Sale. Discount applied at checkout automatically, no code needed. Shipping is free. (Start 3/12) Bergdorf Goodman Beauty Event coming soon. No tax for most states. Shipping is free. 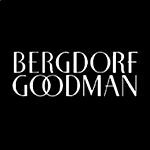 Bergdorf Goodman has Up to 60% Off Sale + Extra 25% Off. No code needed. Shipping is free. 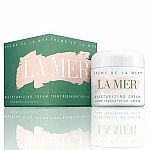 Bergdorf Goodman has select regular-priced beauty items for 10% off. Shipping is free. Qualified items are marked with "beauty sale!". Deal ends TODAY. Bergdorf Goodman has sale items for extra 25% off. Discount applied at checkout automatically. Shipping is free. Bergdorf Goodman is offering up to $12,000 Gift Card with Regular Priced Purchase via promo code "HOLIDAY". Beauty items included. Shipping is free. Deal ends 11/15. Bergdorf Goodman is having Gift Card Event. Get up to $6,000 BG gift card with purchase via promo code "BGFALL". Beauty and Jewelry excluded. Shipping is free. Deal ends 10/21. Bergdorf Goodman has Dyson New Release Airwrap Styler for $499. No tax for most. Shipping is free.